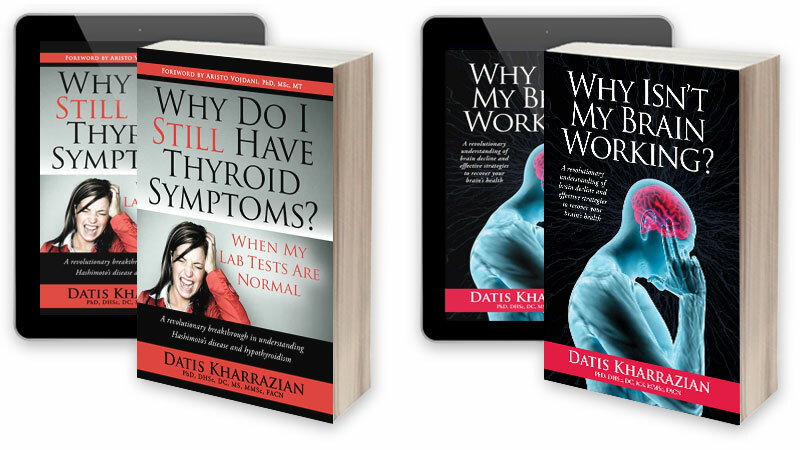 Why Do I Still Have Thyroid Symptoms? Why Isn’t My Brain Working? During the past couple of years I continued my investigations into taming autoimmune disease and addressing the mechanisms that underlie it (and will always continue to do so). I found some approaches that looked promising and began experimenting with them with my patients, as well as recruiting other practitioners I know to work with the same principles. I came across a few discoveries that have produced profound results. One is the concept of glutathione recycling. In the thyroid book I introduced glutathione, our body’s most powerful antioxidant, and how integral it is to modulating the immune system. Ideally the body makes sufficient glutathione to help keep everything running smoothly, however it becomes depleted in the face of extreme or chronic stress. Modern life bombards us with stressors, the most common being ongoing insulin surges from sugary, high-carb diets, immune aggravation from food intolerances, chronic gut infections (too much bad bacteria or parasites), hormonal imbalances, lack of sleep, and of course our hectic, information-overloaded lifestyles. Many people suffer from all of the above on a daily basis and also may smoke, drink too much, or even overtrain athletically, compounding an already precarious situation. Of course autoimmune disease itself is a significant stressor, further depleting the body’s precious supply of glutathione. In fact, I might go so far as to say it is difficult for the body to produce an autoimmune attack if the glutathione system is functioning properly. Boosting glutathione levels though a liposomal cream or intravenously—as glutathione taken orally is ineffective—is a key strategy in combating the damage of stress. However these levels can be quickly depleted if the body cannot recycle glutathione to keep the supply on hand to meet the many stressors. Before I can explain how glutathione recycling works, I first need to explain more about how specifically glutathione protects us. Glutathione is like the bodyguard or Secret Service agent whose loyalty is so deep that she will jump in front of a bullet to save the life of the one she protects. When there is enough of the proper form of glutathione in the body to “take the bullet”, no inflammatory response occurs. However when glutathione becomes depleted it triggers a destructive inflammatory process. Glutathione recycling is a separate function from just boosting glutathione levels through a liposomal cream, intravenously, a nebulizer, a suppository, or other means. These forms of glutathione delivery will help one’s antioxidant status but they do not raise levels of glutathione inside the cells. Glutathione is the main antioxidant for mitochondria, the little factories inside each cell that convert nutrients into energy. Some cells have more mitochondria than others depending on the cell’s function. This is important because an autoimmune disease destroys the mitochondria in the affected cells, thus causing tissue destruction, and glutathione protects these mitochondria. But not just any form of glutathione does this—it needs to be reduced glutathione. There are two main forms of glutathione in the body: reduced glutathione (GSH) and oxidized glutathione (GSSG). Reduced glutathione, or GSH, is the bodyguard who “takes the hit” from free radicals that damage cells. Free radicals are molecules that are unstable because they have unpaired electrons and are looking for another electron to steal in order to become stable. They steal electrons from the mitochondria, thus destroying them and causing inflammation and degeneration. However when there’s plenty of GSH in the cell, the GSH sacrifice themselves to the free radicals—throwing themselves in front of the bullet—in order to protect the mitochondria. Thus the GSH ends up with an unpaired electron and becomes unstable, at which point it becomes GSSG, or oxidized glutathione, which is technically a free radical itself. Doesn’t this make GSSG dangerous to the cell then? When there is sufficient glutathione in the cell, the unstable GSSG naturally pairs with available glutathione in the cell with the help of an enzyme called glutathione reductase, returning back to its reduced glutathione state so it’s ready for action once again. Glutathione reductase triggers the conversion of GSSG back to useable GSH. These enzymes come into consideration when we look at how to support the glutathione system nutritionally. Studies show a direct correlation between a breakdown in the glutathione system and autoimmune disease. The ability to constantly take oxidized glutathione and recycle it back to reduced glutathione is critical for managing autoimmunity. Fortunately studies also show various botanicals, nutritional compounds, and their cofactors have been shown to activate glutathione reductase and the synthesis of reduced glutathione. By boosting this enzyme and supplementing glutathione levels we can increase glutathione levels and glutathione recycling to quench inflammation once it starts, or, even better, to prevent inflammation in the first place. Studies have also shown that efficient glutathione recycling helps boost the TH-3 system, the branch of the immune system that helps balance the TH-1 and TH-2 systems and prevent autoimmune reactivity. (I explain TH-1 and TH-2 systems of immunity in my book.) Proper glutathione activity not only helps protect cells, research shows it also modulates cell proliferation and immunity, and helps tissues recover from damage. Good glutathione recycling helps tame autoimmune diseases in another way. One thing I have found universal in all my autoimmune patients is poor gut integrity. They all suffer from some degree of leaky gut and repairing the gut is vital to the recovery process. Studies show glutathione may play an important role in gut barrier function and the prevention of intestinal inflammation. A compromised glutathione recycling system can worsen intestinal destruction—the person with multiple food sensitivities and a gut that never heals may be victim of this mechanism. Although repairing a leaky gut is vital to taming an autoimmune response, we can see now glutathione recycling is another vital piece to the puzzle of restoring gut health. So how do we support glutathione recycling? The first thing is to reduce the stressors depleting this vital system. The bulk of my thyroid book is devoted to this: balancing blood sugar, addressing food intolerances, restoring gut health, and managing adrenal function are foundational. Other considerations are neurotransmitter imbalances and hormonal imbalances, which may require specialized guidance from a qualified health care practitioner. And of course making any lifestyle changes you can, such as getting enough sleep, paring down an overactive schedule, making exercise a priority each day, creating time to do things you love, and so on. Once you have addressed these factors (which for many people can actually take care of the problem) and autoimmune dysfunction persists, then boosting glutathione recycling may be necessary. Below I cover the basic botanicals and nutritional compounds researchers have found support glutathione recycling pathways. N-acetyl-cysteine (NAC): NAC is a key compound to glutathione activity. It is rapidly metabolized into intracellular glutathione. Alpha-lipoic acid (ALA): ALA directly recycles and extends the metabolic life spans of vitamin C, glutathione, and coenzyme Q10, and it indirectly renews vitamin E, all of which are necessary for glutathione recycling. L-glutamine: Research has shown that l-glutamine is important for the generation of glutathione. It is transported into the cell, converted to glutamate, and readily available to intracellular glutathione synthesis. Selenium: Selenium is a trace element nutrient that serves as the essential cofactor for the enzyme glutathione peroxidase, which converts GSH to GSSG so glutathione can “take the hit” by free radicals to spare cells. Cordyceps: Cordyceps has been shown to activate both glutathione and peroxidase synthesis in the body. It has also been shown to protect cells by engaging the glutathione enzyme cycle. Gotu kola (Centella Asiatica): Research has clearly demonstrated that oral intake of gotu kola rapidly and dramatically increases the activity and amount of glutathione peroxidase and the quantity of glutathione. 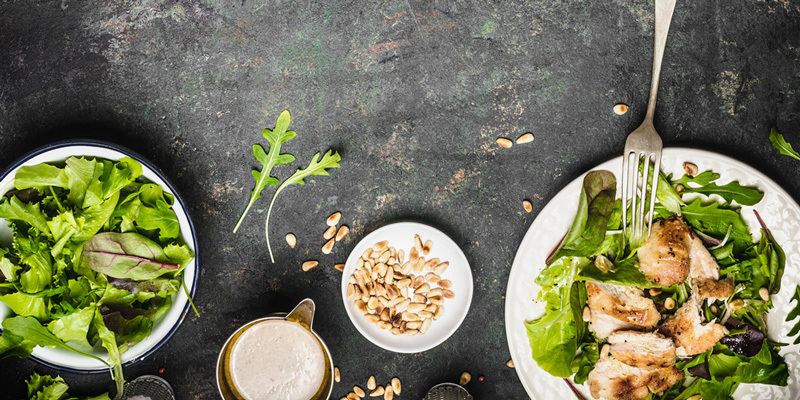 Milk thistle (Silybum marianum): Milk thistle has been shown to significantly increase glutathione, increase superoxide dismutase (another powerful antioxidant) activity, and positively influence the ratios of reduced and oxidized glutathione. Taken together these botanicals and compounds activate the glutathione peroxidase and reductase enzymes that promote a healthy glutathione recycling system. For people with severe leaky gut issues I suggest they take these compounds as they work on repairing leaky gut. Also, it’s important to use these in conjunction with a liposomal glutathione cream discussed in the book. These compounds work more on recycling glutathione than boosting overall levels. This way the glutathione you do take, whether through a cream, an IV, a nasal spray, or other method is assured to stay in your body longer and get inside your cells where they can do their best work. Promoting glutathione recycling helps protect cell mitochondria, enhance tissue recovery, modulate an imbalance between TH-1 and TH-2, and boost immune regulation. The overall effect is to dampen both the autoimmune reaction and damage to body tissue. It also helps body tissue and the intestinal tract regenerate and recover. Keeping overall glutathione levels up by supporting glutathione recycling helps buffer the body’s cells from the many stressors hurled at us each day. Other practitioners and I have witnessed patients rebuild their glutathione recycling system. As a result they are much less or no longer sensitive to chemicals around them, they have fewer autoimmune flare-ups, and they recover much faster from their flare-ups. 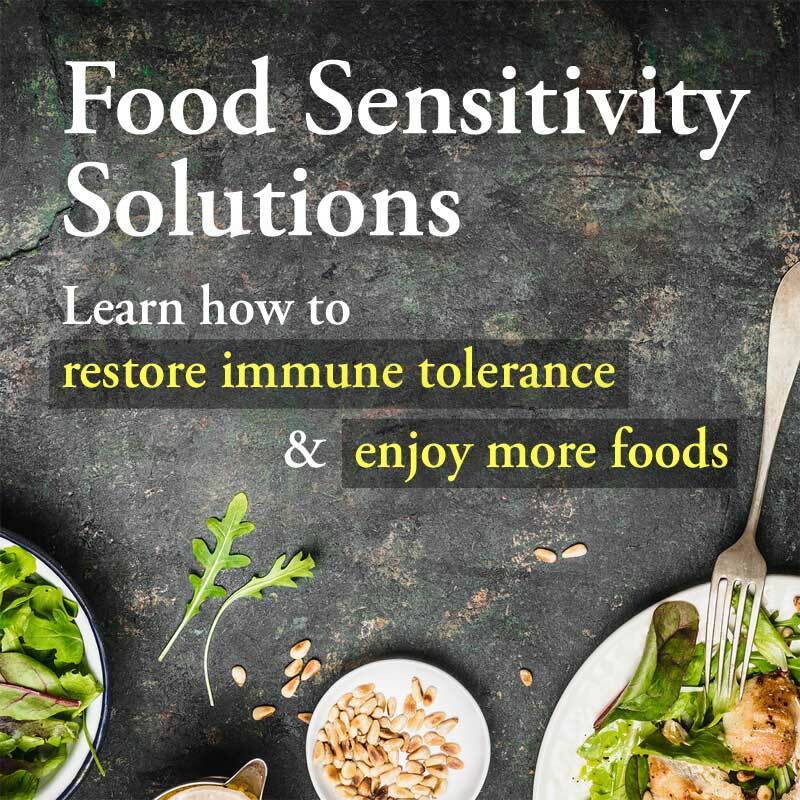 Are food sensitivities a problem? What type of gluten intolerance do you have? can you recommend a liposomal glutathione cream Brand? I wonder why they cannot make it into pill/tablet form. They do make glutathione to take directly, but supporting glutathione recycling is actually more effective in creating the desired end result. Glutathione recycling is a separate function from just boosting glutathione levels through a liposomal cream, intravenously, a nebulizer, a suppository, or other means. These forms of glutathione delivery will help one’s antioxidant status but they do not raise levels of glutathione inside the cells, where it’s most important. There is now an optimized liposomal glutathione capsule on the market. For leaky gut repair it is recommended above to augment glutathione recycling with a glutathione cream. Would the liposomal capsules be an as good or possibly better way to boost glutathione levels than a cream? Apexenergetics has two recycling glutathiones. I have Hashimoto and Lyme. Which would you recommend ? Robin; The Glutathione Recycler™ and the Glutathione Recycler™-SM are the same product; the -SM appendage simply means “small”, as in fewer capsules (90 vs. 30). For their liquid products, the same applies; fewer oz. Glutathione supports the liver’s detoxification pathways, so it should support your body’s ability to clear excess estrogen. How do I purchase the glutathione recycler? If your practitioner can get it, that is ideal, as they can guide you. If that’s not a possibility, you might go through Acupuncture Atlanta (https://www.acuatlanta.net/) – it requires an online consult with one of their practitioners. I bought Trizomal Glutathione from Apex. Do you know if it needs to be taken with a glutathione recycler? sarah; It contains both glutathione and factors that support glutathione recycling. I have a question about the process of someone taking intravenous glutathione and how they can have adverse side effects while others do not. Does this have something to do with improper recycling or too much being administered? and if so how does one reverse it? I think it has to do with sulfation pathways but I”m not sure my memory is accurate. Hi I am currently taking 9000mg of it glutathione per week and I would like to switch to taking s acetyl glutathione. I was wondering how many mgs of the apex s acetyl glutathione woulg I have to take per week to make up the equivalent of 9000mg I’ve. This is a very informative and valuable article. 2) increase your own production of glutathione. After 120 days, it’s upregulated 300%. Hi Rosemary. I found your comment to be very interesting. Would you mind sharing this article/product that you mentioned to be clinically proven nrf2 activator as I would love to look into it. Thanks so much! Love your books! Thank you for your knowledge & wisdom! Brain book: pages 421-429 discusses Glutathione, but I’m still a little confused. To help detox heavy metals, repair leaky gut, eliminate fatigue, dampen auto-immune symptoms, & stay healthy, is it good protocol to take a Glutathione Recycler, S-acetyl-glutathione and all the supporting supplements together? (NAC, ALA, l-glutamine, selenium, cordyceps, gotu kola, milk thistle) …. and maybe glutathione patches as well? Can I O.D. on glutathione? Thank you. There is liposomal Glutathion available too. Ich recommend strongly to check the ingredients on all Supplements you take. If you take Supplements with titaniumdioxide, siliciumdioxide, rice, starches, wheat, dairy, sugars, Corn, Antioxidans, flavours, etc your intake of toxins is rising. The best results you can achieve is with supplementing plus diet. Is it advisable to use a liposomal glutathione cream on a thyroid (autoimmune) with nodules? Dr. Kharrazian recommends that patients use the cream on the thyroid; as per having nodules, that’s something you’d need to consult with your healthcare practitioner about. Sorry we can’t be more specific. Supporting glutathione *levels* and supporting glutathione *recycling* are two slightly different functions, so supporting both simultaneously can be beneficial. 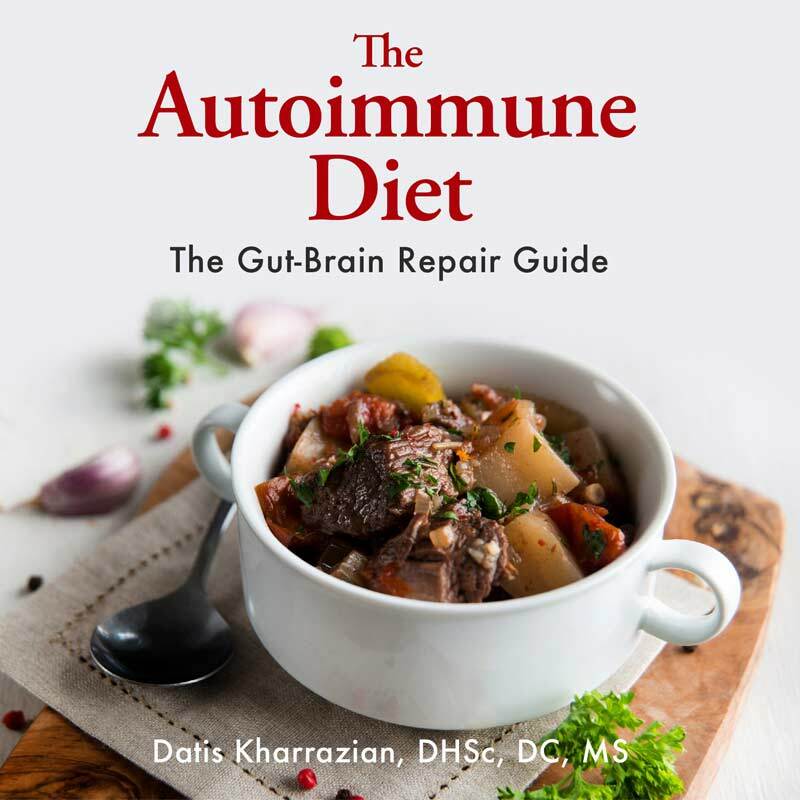 Also, Dr. Kharrazian has a newer article posted recently here: https://drknews.com/glutathione-autoimmune-disease/ which may help clarify how the factors you mentioned fit into each category. 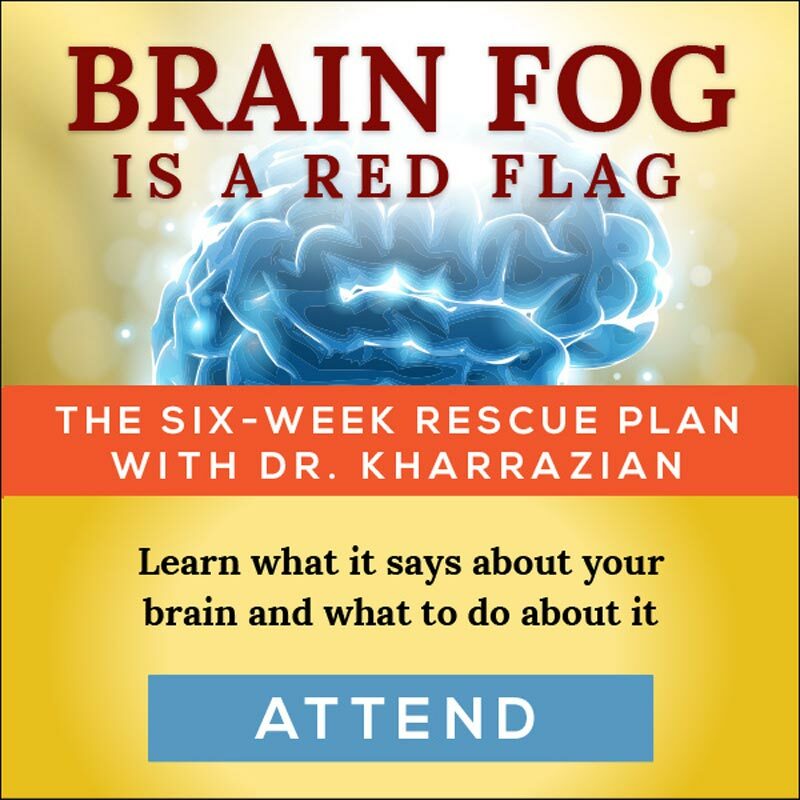 And yes, Dr. Kharrazian does have some patients use those items in conjunction with each other. Personally if I’m doing a solid combo of supporting glutathione levels and recycling, I wouldn’t bother with the patches. We haven’t heard of anyone OD-ing on glutathione. Check out that new article, it does fill in some of the blanks! I was taking N-A-C daily for several years and now my MD — who follows Dr K — has put me on liposomal glutathione. Neither of us was sure if that meanss I should stop the N-A-C. can I take both simultanously? I stopped the NAC and got the first UTI of my life about two weeks later. I’ve read that NAC disrupts biofilms in the walls of the bladder and wonder if that’s why — it makes me want to resume the N-A-C along with the glutathione. As far as taking the NAC with glutathione, I’m not aware of any reason not to. Sorry, but I don’t have the answer on the biofilm question. Please I need to know if glutathione cream helps alleviate swelling in the thyroid .how much can I use and for how many days? And is it safe for the liver? Dr. Kharrazian recommends using liposomal glutathione cream for use in localized areas, such as an area of pain or inflammation. This could include over the thyroid in the case of autoimmune Hashimoto’s hypothyroidism. Dosing is unique to the individual, as is the term of use. I’d go with what’s recommended on the packaging, see how my body responds, and adjust accordingly. Don’t forget how important it is to support glutathione recycling, too (mentioned in the article) – doing that will help your body cope better with inflammation in all areas. The liver needs glutathione in order to perform detox function at its best. Why Isn't My Brain Working? 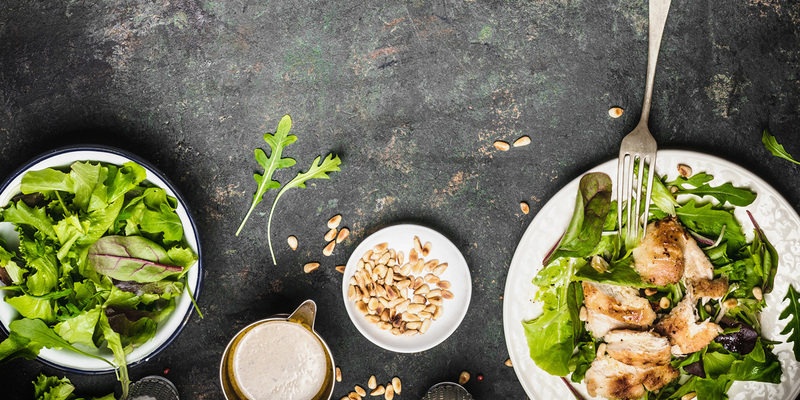 Do you feel worse on the AIP diet? Copyright © 2019 Elephant Press LP. All Rights Reserved.